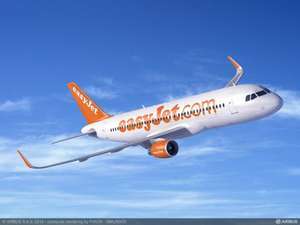 Easyjet Winter Flights Now Live!! Hi All!! Just a heads up, if like me you like to book your flights early for the Ski Season... or just your winter travels then Easyjet are releasing the Winter Season Flights from next Thursday 23rd March for flights from 29th October up until 4th February 2018. Get yourself some cheap flights whilst you can Hope this helps Happy Travels! Can someone edit the title? "out" is a flight term. should be "online" "released" or something. Just a thought. Cheers. May I ask the source? Cheers - they send me dozens of emails (including notifying me that they have cancelled one of my summer flights), but not the one I need. Are you a plus member? hi - are they out at 6am? Not sure what time of day so assume its midnight of the day before. Flights from Glasgow for Christmas 2017 were available just after 6 a.m. today. Got up early and booked some. Any good place to go to during the winter school holidays from London Luton airport in December ? something to bear in mind is that if you book with easyjet and the price goes down, then you can claim the difference back in credit for a future flight in the next 6 months. Any good place to go to during the winter school holidays from London … Any good place to go to during the winter school holidays from London Luton airport in December ? Thanks. Booked return to Las Palmas for two people in Jan for £76. Bargain. something to bear in mind is that if you book with easyjet and the price … something to bear in mind is that if you book with easyjet and the price goes down, then you can claim the difference back in credit for a future flight in the next 6 months. Had this stored in diary, wife just booked Prague in January, staying in the clarion......cant wait.